This is a good sized leather handbag in supple mustard and black with old gold clips, zips and rivets. It has an outer zip pocket. It is fully lined with musical notes with a zip and open pocket. 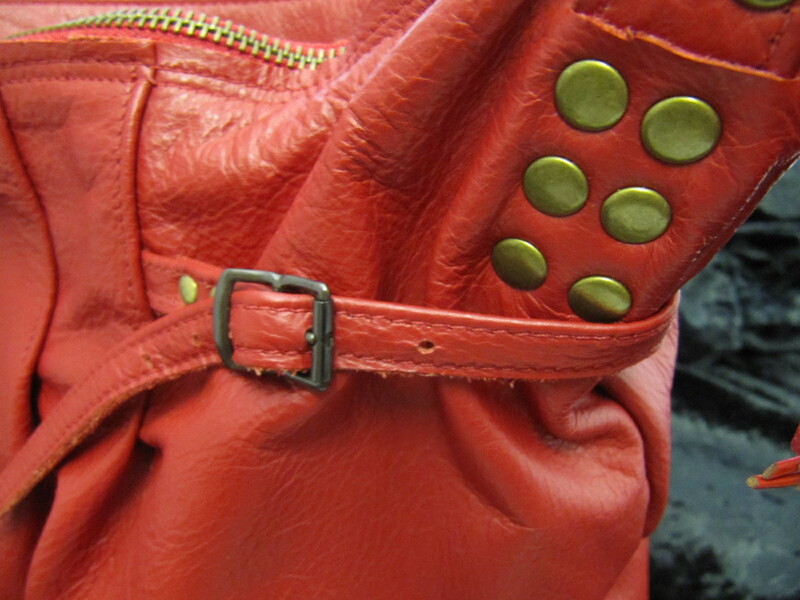 There are two shoulder straps and a removable, adjustable cross body strap.